From March 13 to March 16, the 19th China International Metallurgical Industry Expo jointly organized by China Iron and Steel Industry Association and China Council for the Promotion of International Trade Metallurgical Industry Branch opened at Shanghai New International Expo Centre (Pudong). China MCC attended the expo and won the "Best Organization Award" in the expo. 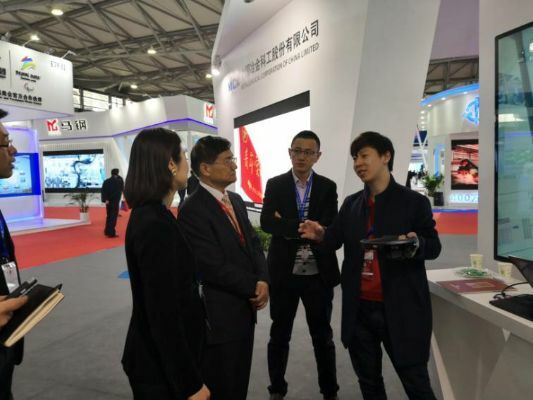 Deputy Secretary-general of China Iron and Steel Industry Association and President of China Council for the Promotion of International Trade Metallurgical Industry Branch visited the booth of China MCC and the overall solution for intelligent steel manufacturing displayed. Mr. Yang said that China MCC, as the "national team" for metallurgical construction, had led the development of metallurgical construction, integrated the new generation of information communication technology and advanced manufacturing technology, promoted steel works to realize intelligent manufacturing, reduce cost, save energy and protect the environment, enhanced quality and increased efficiency, and the integration was the only way for the upgrading and transformation of steel works. At this expo, China MCC focused on innovation in metallurgical engineering technology and exhibited China MCC's technical strength in such fields as metallurgical upgrading and transformation, intelligent manufacturing, construction of steel works, relocation of steel works, energy saving and environment protection. The well designed booth of China MCC was novel and beautiful, the exhibition contents were rich and colorful. China MCC enhanced brand influence by project performance, increased its charm by MCC culture, and set an exhibition area to interact with visitors. Technical experts from CISDI Group Co., Ltd., Zhongye Changtian, CERI, ACRE, Shanghai Baoye, China MCC20, MCC Huatian and China MCC introduced the business system and technical advantages of China MCC in metallurgy field to the visitors, and invited visitors to wear AR equipment to experience the intelligent works to deepen their understanding of the overall solution of China MCC for intelligent steel manufacturing. 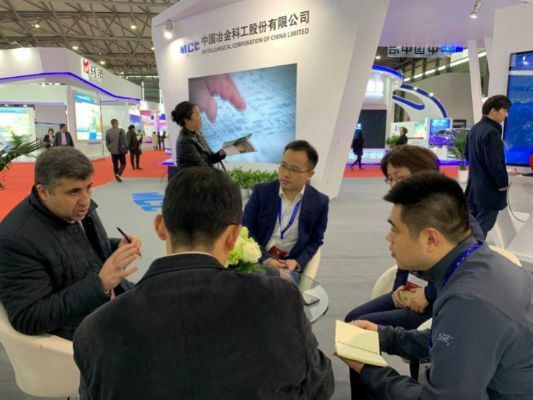 The advanced technology exhibited by China MCC attracted many professionals at home and abroad to stop and visit, exchange and consult. Visitors showed great interest in the overall solution of China MCC for intelligent steel manufacturing. The metal + metallurgy China Expo (i.e. the collective name of China International Metallurgical Industry Expo, China International Foundry Expo and China International Refractories and Industrial Ceramics Expo), which can be called the first in Asia and the second in the world in the foundry metallurgy industry, has been held in Shanghai and Beijing alternately since 1986, and has become a world-class industrial event. It provides an exchange platform for domestic enterprises to "go out" and overseas companies to "go in". 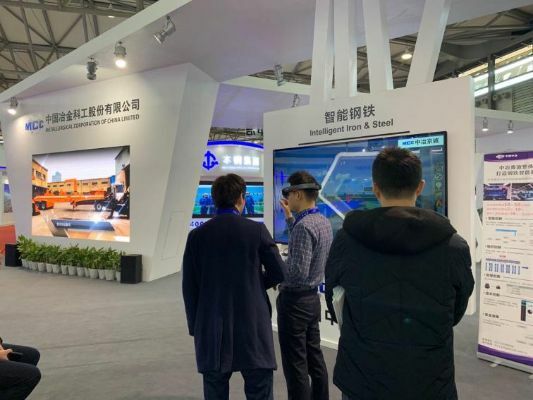 At this expo, MCC, Baowu Group, Ansteel, Baogang Group, Masteel Group, Shougang Group and other key steel enterprises in China fully displayed China's leading technologies and equipment in the metallurgy and foundry industry. By participating in the expo, the brand image of China MCC was better disseminated. MCC established contact with more quality customers and exchanged experience with peers. MCC, as the "national team" for metallurgical construction and operation, won wide attention and recognition with its comprehensive strength. China MCC wins the "Best Organization Award"